A Summit man was arrested and charged on January 9, 2013 with 1st Degree Aggravated Sexual Assault against a person who was physically helpless, announced Union County First Assistant Prosecutor Albert Cernadas, Jr.
Last night members of the Summit Police Department and Union County Prosecutor’s Office arrested Cyrus Fakroddin (DOB 6/6/1961) at his home without incident. According to the investigation, in the early morning hours of November 17, 2012 Fakroddin was in Manhattan when he encountered a 19-year-old woman who was physically and mentally incapacitated, said Cernadas. Earlier in the evening the victim had been at a Manhattan nightclub with friends. It is alleged that Fakroddin transported the woman in his van to his home in Summit where he sexually assaulted the victim. When the victim regained consciousness several hours later, she had no memory of meeting Fakroddin or traveling to his house. She was able to contact a friend and was returned to Manhattan a short time later. Suspecting she had been sexually assaulted, the victim sought medical attention in New York and after an examination, the criminal case was transferred to Union County, said Cernadas. Detective Michael Freeman and Sergeant Peter Frank of the Summit Police Department along with Detective Patricia Gusmano of the Prosecutor’s Office investigated, gathered statements, and secured physical forensic evidence relating to the case. 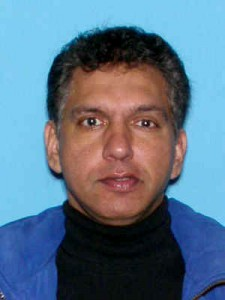 Fakroddin is currently being held in the Union County Jail on $250,000 bail. This remains an active investigation and anyone with information is urged to contact Det. Gusmano at (908) 527-4589.